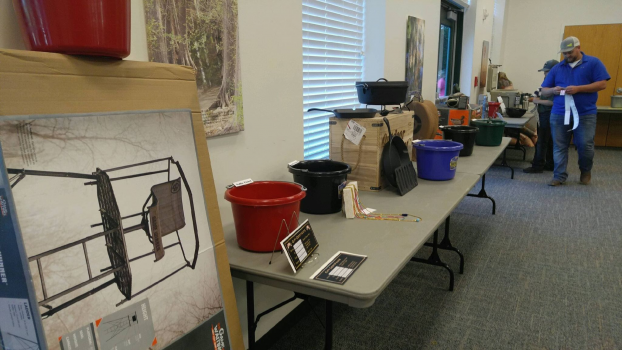 The Henderson County WIldlife Committee put on, “KIDS IN THE OUTDOORS.” and it drew the attention of lots of area kids from Kemp to Tyler, back to Crossroads and everything in between. 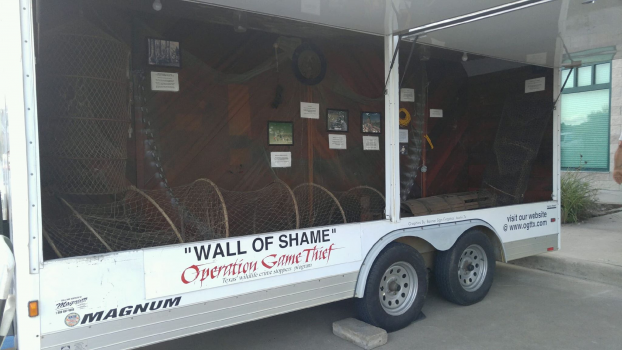 Texas Parks and Wildlife brought their “Wall of Shame” trailer to show the kids animals that were poached. 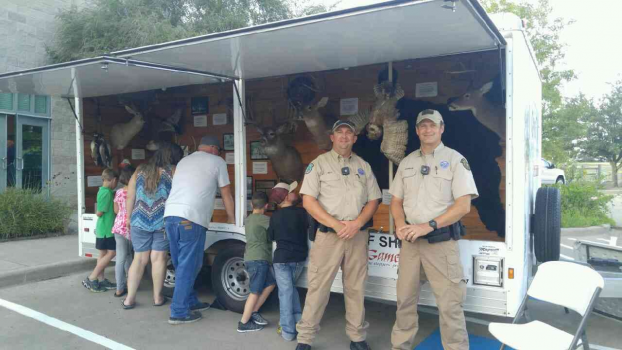 Athens native Officer West and transplant to the area Officer Johnson, both Game Wardens out of Athens were on site to answer any questions the community had. 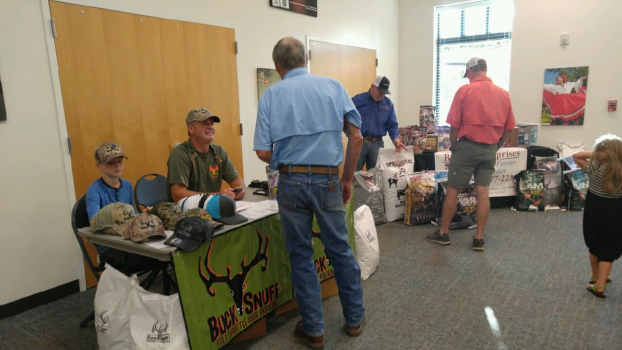 Speaker Kyle Brunson told about hunting opportunities for youth in the area with 3 Teenagers who had attended similar hunts showcased their tri fold displays to explain to anyone who was eager to hear what they learned from attending these adventures. 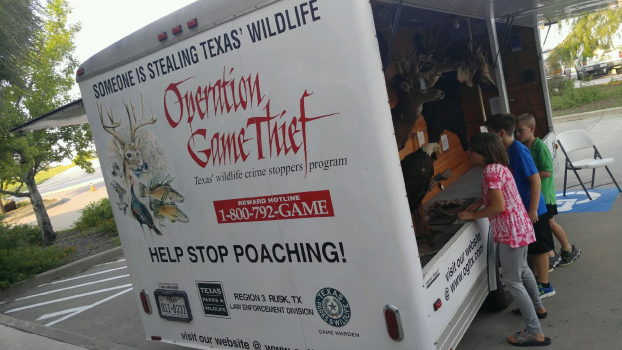 Learning for them extended beyond just the learning to hunt, it extended to learning the habitat, what to feed the animals and how the animals thrive. 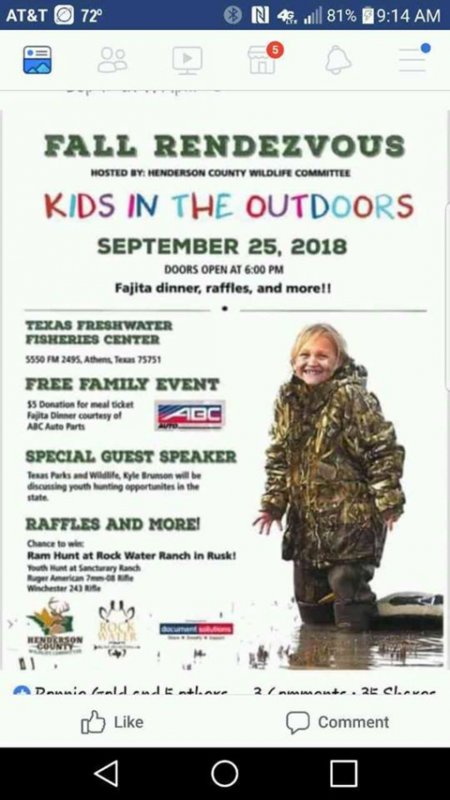 Find this event for next year and more by visiting the Texas Freshwater Fisheries website where this event is held in Athens.